KE00017 is a solid phase sandwich Enzyme Linked-Immuno-Sorbent Assay (Sandwich ELISA). 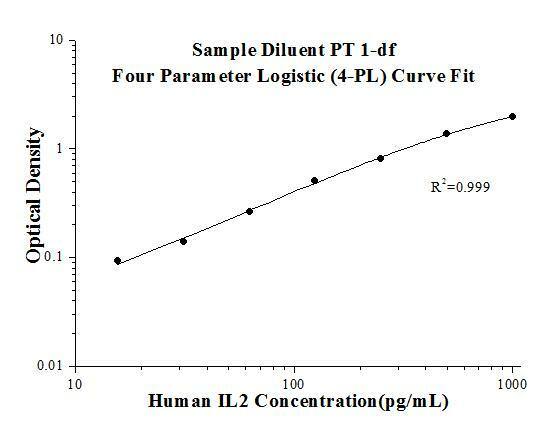 The IL2 ELISA kit is to be used to detect and quantify protein levels of endogenous IL2. 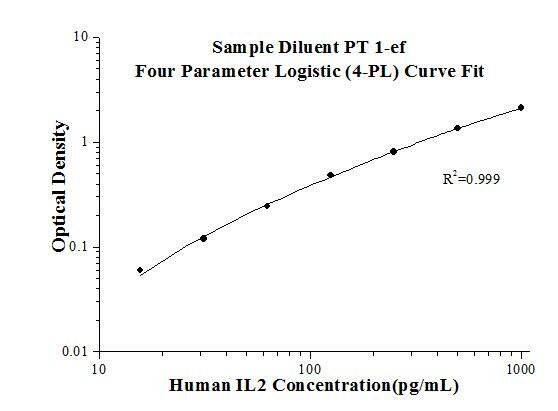 The assay recognizes human IL2. A monoclonal antibody specific for IL2 has been pre-coated onto the microwells. The IL2 protein in samples is captured by the coated antibody after incubation. Following extensive washing, a polyclonal antibody of biotinylated specific for IL2 is added to detect the captured IL2 protein. For signal development, Streptavidin-HRP is added, followed by Tetramethyl-benzidine (TMB) reagent. Solution containing sulfuric acid is used to stop color development and the color intensity which is proportional to the quantity of bound protein is measurable at 450nm and 630 nm. Interleukin-2 (IL-2) is a four-helix bundle, type I cytokine that functions as a growth factor for a wide range of leukocytes. In the immune system, IL-2 is essential for immune homeostasis, normal T regulatory cell function, and self-tolerance. It regulates immune cell homeostasis and has been used to treat a range of disorders including cancer and autoimmune disease. IL-2 signals through heterodimerization of theIL-2Rβand IL-2Rγreceptor subunits.